Summary: This photo is of Bais Yaakov girls from the Kraków Teachers' Seminary, on summer break in 1934, on a hike to Lake Morskie Oko, the deepest lake in the Tatra Mountains; the lake lies at the foot of its tallest mountain. 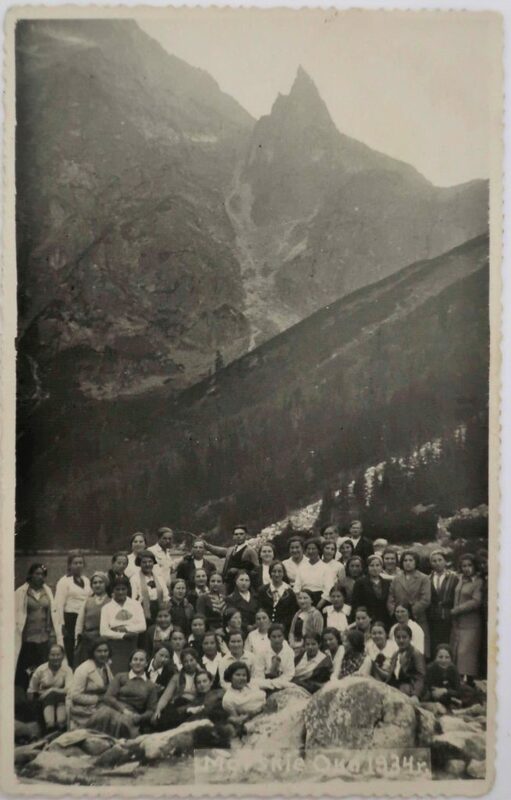 This photo is of Bais Yaakov girls from the Kraków Teachers’ Seminary, on summer break in 1934, on a hike to Lake Morskie Oko, the deepest lake in the Tatra Mountains; the lake lies at the foot of its tallest mountain. 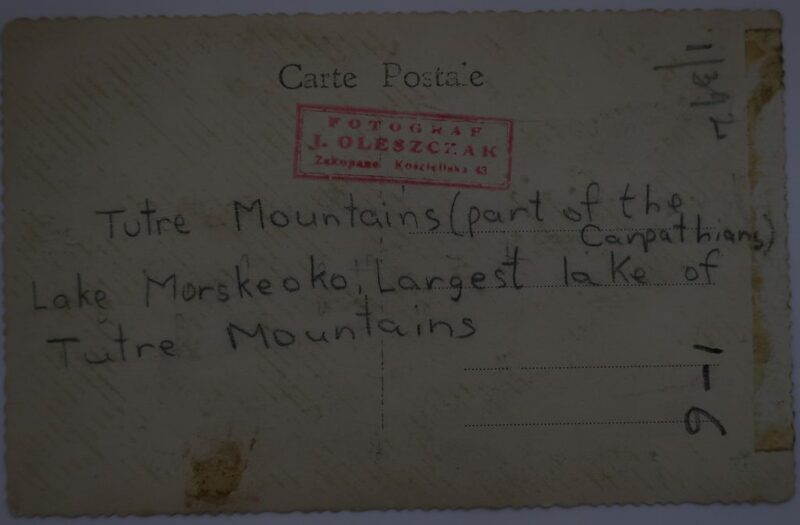 A stamp on the back of this photo identifies the photographer, J. Oleszczak, in the nearby resort town of Zakopane. Devorah Epelgrad Cohn wrote: Tatre Mountains (part of the Carpathians), Lake Morskeoko, the largest lake of Tatre Mountains.